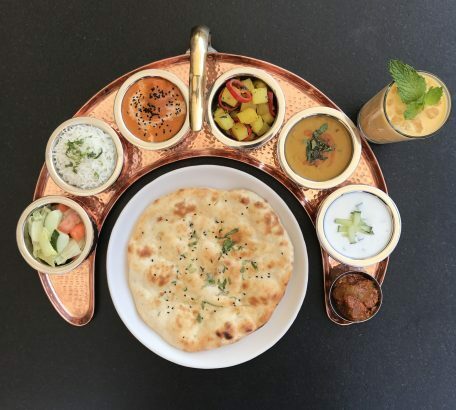 Thali means large plate - it's a complete, carefully composed and balanced meal! According to Indian Traditions, a proper meal should be a perfect balance of salt, bitter, sour, and spicy on one plate. With six individual bowls and a fresh naan, there is no better way to sample the unique avors of India than one of our delicious Thalis.